I really enjoy doing this little playlist of the week. I listen to a lot of radio during the week and of course to my own albums and playlists and now I've got something to do whilst listening - searching for the songs that stick out. I've also put all the songs on a Spotify playlist, so you can listen to all of them easily, just click here. 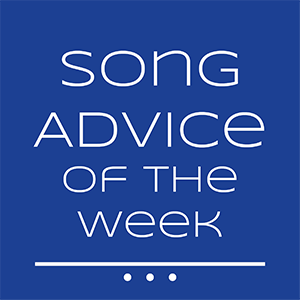 And there's a playlist where I'll add all the songs of this years Song Advice posts, so you can follow that one to keep up to date with my recommendations. What a powerful past weeks it's been in music. First Adele comes back out of the blue with Hello and now it's Coldplay. Adventure of a Lifetime is the first single from their new album A Head Full of Dreams, which is out December 4th. My Christmas list is getting longer and longer. Do I have to say anything about the song? I don't think so - It's Coldplay, listen to it! The band has played a lot of gigs already and now they're finally starting to release their music. I can't wait to hear more from them. I enjoy every time I hear this song (and I turn the volume up to a level where the neighbours might here it as well), so I had to put it on here. Foals are great indie rock band and I'm in love with their newest record What Went Down. I've been listening to it over and over again since it came out in August and Mountain at my Gates is one of my favourite songs. It's super catchy and it makes me happy. I wish they would play this one more often on German radio. Most of the time just Can't Feel My Face is playing , which isn't bad either and I know it's newer, but The Hills is so much better. It's somehow hypnotic and just a great (indie) R&B song, not as pop as Earned It or Can't Feel My Face. I enjoy that you can get lost in the song very easily. The last one's for the catchy pop lovers. It's not going onto my favourites list, it's not that amazing, but it's a catchy song. I can't help it. Love Me Like You makes me dance in my best Mamma Mia style and makes me feel joyous. And that's probably because it reminds me of ABBA. And ABBA songs also instantly produce cheerfulness, don't they? So that's it for this week. Do you like the songs or do you hate them? Let me know. 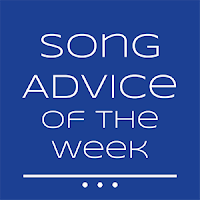 And if you've got a suggestion for next weeks post, tweet or email me your song and tell me why it's brilliant.